What is the Difference about Colors in Custom Medals? You must have some problems about colors in customizing medals. Why the products that you received are some different when you want to have the effect of samples? 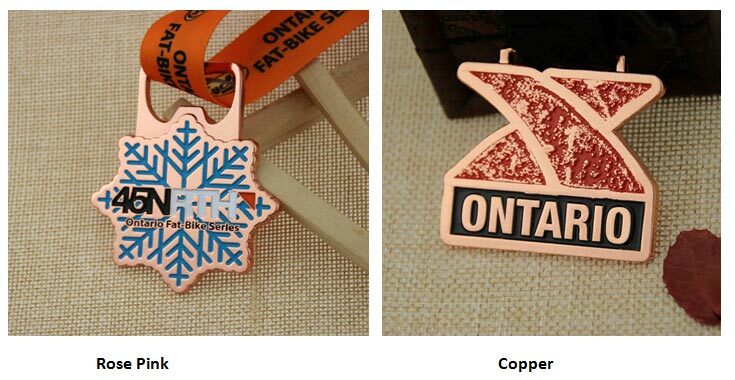 Not only you have this problem, almost buyers who want to order some custom medals have. 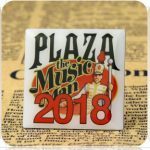 Reading on and you will know more about the colors in CUSTOM MEDALS. Shiny black nickel is a bling dark and can reflect lights. When it reflects lights, it seems to be silvery. While dye black is a deep dark, it needs to make products dyed. 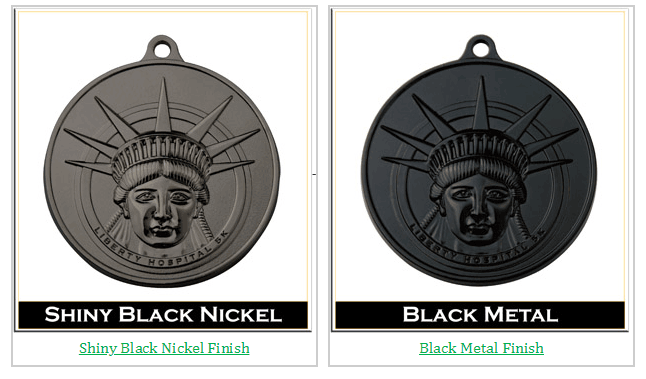 Dye black is not wear-resistant compared with black nickel. Simple ways: 1.whether you can find the color in metal; 2, whether it reflects or not when lighted? It will be found clearly in the products. On the left, we can see that there is black nickel in the peripheral. At first sight, it is silver but it is not shiny like silver. On the right, obviously, there is black without bright. Gold is very shiny and bright color. In layman’s terms, it is yellow like wheat. However, brass seems to be rusty with a little green, looking like bronze. It is mixed with white, black, yellow, blue and dye yellow. You can found that the color of custom medals on the left looks like golden. 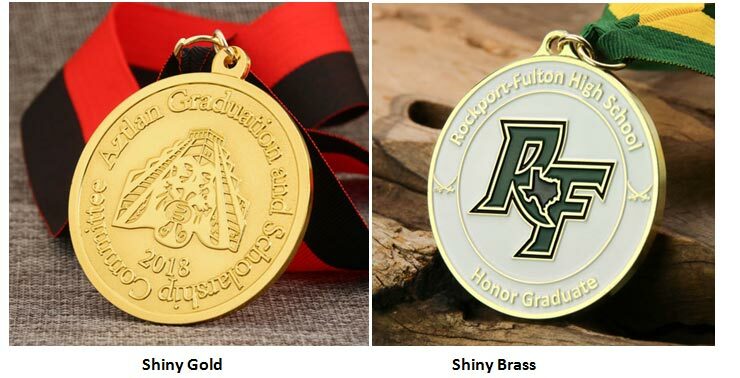 On the right, graduation medals presents a ray of green. Rose pink is kind of pink color. But the color is very light. Nevertheless, copper is very deep color. It seems to jacinth .Copper looks like burning in the furnace. How to Distinguish Different Colors? Watching the margin of products carefully. Whether it reflects light or not. You can put them in the sun, you will get the answer. Comparing with different products and looking through the production details. Below the title, it usually introduces its finishes. 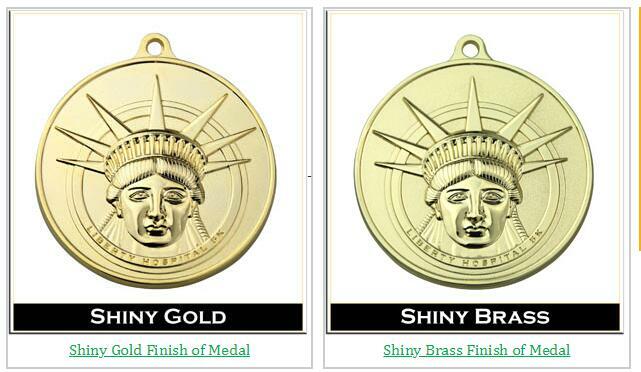 GS-JJ produces lots of custom medals with different colors. Some colors are slight difference. 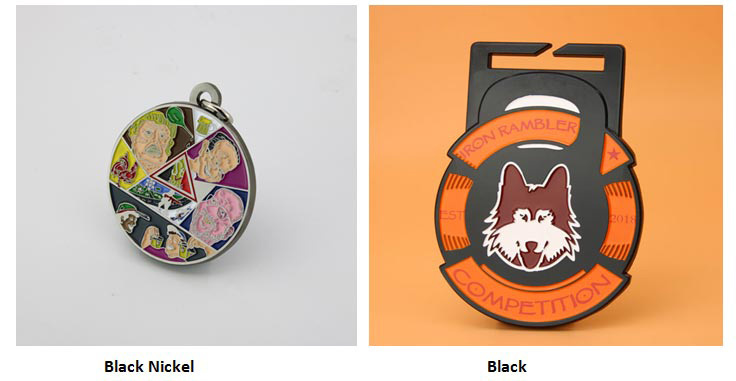 If you are interested, you will click in: https://www.gs-jj.com/medals/Custom-Medals. If you still have any questions, please email at Info@gs-jj.com or call at 909-8954700 or fax at 909-8394501. 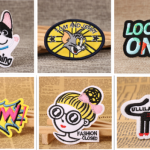 ← How to order custom made patches online?